Given my commitment to publishing new content on an almost daily basis, I did not want you to check-in starting Wednesday and see nothing but a test pattern while I’m away enjoying the sights in Athens and Crete. Beginning tomorrow my family and I are off to Greece for a two week vacation. I did, however, think ahead. And what a great treat I have in store for you. I’ve persuaded my friend, François Gadenne, to serve as guest blogger until I return on May 16. 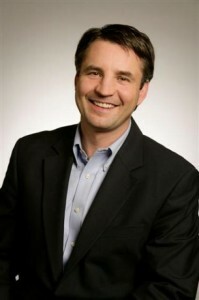 François is the Executive Director and Founding Chairman of the Retirement Income Industry Association. He’ll be taking you on a thrilling intellectual ride through the vortex of retirement income innovation. It’s a trip sure to expand your mind and, potentially, alter your own views regarding the most significant financial event of our lifetimes. No stranger to this blog, François has already shared with my readers quite a lot about his personal and professional history as well as the events that led to RIIA’s creation. All this and more can be found in my interview with François as part of the Industry Leaders & Innovators series. To read this wide-ranging interview click here. So, beginning tomorrow, check-in daily as François drives the retirement income discussion to new vistas. I define a “mature” retirement income initiative as one that is ready to roll-out, set to be unleashed upon a waiting world. Many financial services companies are devoting huge levels of resources to the development of their own retirement income solutions. Which will emerge as the retirement income version of Apple? And which will land with a thud in the junk heap of failed efforts? I won’t predict which will flourish and which will fail; I will predict how success will come to some. In terms of my career in financial services, over much of the past thirty years I’ve been like a fish swimming simultaneously in two separate and distinct ponds. The breadth of my work experiences is unusual, to say the least. For 25 years, one-half of my business life was devoted to the wholesaling and distribution of insurance and annuity products. Call this advisor-centric place, the salt water pond. In the salt water pond large networks of financial advisors were recruited, trained and serviced. Their business challenges became my challenges; solving them, even partially, led to production loyalty, referrals to other advisors, and business growth. So, when advisors made comments to me like, “compliance is driving me nuts”, “that damn insurance company screwed-up my 1035 exchange”, “I can sell, I just need a way to get in front of more people”, “each seminar is costing me $8,500 but I’m getting only half as many people to show-up as I used to”, “my biggest in-force life policy was just replaced”, “I’m losing annuity sales to (insert name) bank”, “I need a higher commission on this product”, or, “I need a product with higher interest rates”, I understood the pain and frustration behind each of these statements. The other half of my business life was spent in (and, in fact, is now entirely spent in) the fresh water pond. The fresh water pond is habitat to the product manufacturers and, to some extent, broker-dealers. The language spoken in the fresh water pond is different than that spoken in the salt water pond. Different issue and challenges take form. Whereas the advisor is vexed over the insurance carrier’s or the B-Ds “insane compliance”, the carrier or broker-dealer seeks to limit insane levels of potential future liability. In the fresh water pond I originated all manner of marketing tools, programs, strategies and technical innovations that insurance companies and, or, broker-dealers used to boost their value to both producers and consumers. I developed numerous, highly successful marketing programs and presentation tools that collectively ignited multi-billion dollar increases in new sales. I served as one life company’s de facto CMO for 12 years as it navigated through a myriad of mergers and name changes (Commercial Union, CGU, CGNU, Aviva). Over the years I consulted with another twenty or so life companies on a variety of projects. I delivered hundreds of motivational speeches, training seminars and product rollout presentations. As a consultant to PaineWebber I traveled across the U.S. to provide training on life insurance to its stockbrokers. To jumpstart sales of life insurance in the PaineWebber network, I was sent to major cities to deliver seminar presentations to the clients and prospects of PaineWebber stockbrokers. I wrote scripts for consumer presentation on many life insurance and annuity products. I then was video-taped as the talking head, delivering the seminar presentations I had written. More than 200,000 duplications of these video tapes were created and distributed to agents who successfully used them to close sales and gain qualified referrals. In recent years more than 1,000,000 CD ROMs containing sales presentations I wrote covering a variety of products have been distributed to agents by insurance companies. These companies have been rewarded with sales growth as their agents become better educated. The presentations are now being delivered over the Internet through technology I designed that meets rigorous compliance and distribution complexities. I became an early mover in the retirement income space by developing web-based, time-weighted, open-architecture income distribution solutions that are backed by peerless, compliant communications tools. Interestingly, for years I used many of the innovations I developed in the fresh water pond to boost sales in my own salt water company. I tell you all of this not to make myself sound ego-centric, but rather to explain that I’ve accomplished a lot in both ponds, and that I’ve had a lot of success in both ponds. I believe this experience gives me a unique perspective to make some judgments about the future. Experience also helps me to understand the Yin and the Yang: For instance, the producer wants “higher interest rates” or “higher caps, but the insurance company wrestles with sub-optimal spreads owing to a flat or inverted yield curve, unmovable ROI targets, asset liability matching, hedging, reserving- all of which impact the ability to deliver crediting rates that may or may not satisfy the advisor’s perceived need. Between the two ponds there exists a massive and institutionalized failure of communications. As a result levels of cynicism and mistrust are high. Although the two ponds clearly require each other’s unique capacities, they co-exist in a relationship which is seldom completely satisfying and too often is only temporary and designed to fulfill both the advisor’s immediate need for compensation and the provider’s quarterly need for increased sales. So, for instance, we have today’s deferred annuity industry where four-fifths of annuity business in 2006 was the result of advisors moving the very same assets from one insurance company to another. This is a maddening and ultimately destructive cycle brought about by low productivity, ineffective marketing and, not uncommonly, gimmicky product innovation made to appear as genuine innovation. Just as surely as poor communications and its component elements- lack of transparency, lack of clarity and lack of confidence among purchasers- serve to perpetuate the status quo, effective communications strategies will be the linchpin in providing thrust behind newly introduced retirement income solutions. To all of my friends busy at work developing “your company’s” retirement income solution, take note: your solutions will not realize their marketplace potential unless you wrap them in a strategy capable of conveying clarity and confidence to consumers who will be expecting nothing less. “Confidence” will be the key deliverable in the retirement income phase. We’re in a period of transition from an era when, in order to gain a sale, it was sufficient for the consumer to have confidence in the advisor. Going forward, the consumer is going to demand confidence in the solution. You will commit your organization’s future success to history’s retirement income dustbin if you believe that you can meet this emotional need exclusively with a product focus. No issue is of greater importance to you as you work to pin last minute tweaks on your income-generation solutions. Here’s why: The stakes around this issue are just as high for the customers you are targeting, not to mention the advisors you will rely upon. Based upon my salt water experience, I’m certain that consumers will view their decisions over whether to turn their retirement assets over to you as virtually life or death in terms of its intrinsic importance. This is not accumulation. A bad purchase decision in accumulation may have resulted in a customer earning, say, 200 basis points less over a few years, not in injury beyond repair. If you fail to link your solution to communications tools that engender clarity and confidence, you will not make this sale. Moreover, your advisor-distributor will abandon you in favor of your competitor who delivers what you fail to deliver. Write this down. About individuals who may view this assertion skeptically, I know that you live in the fresh water pond. About individuals who immediately recognize the accuracy in what I’m saying, I know that you live in the salt water pond. Each of you needs to merge into an understanding of the other’s pond, with the conduit for that merger communications between you that is satisfying and meaningful. When you merge you will eliminate mistrust and craft a bright future. And your retirement solutions will flourish, perhaps, even, as one or more retirement income versions of Apple. The talks given during day two of NAFA’s Annuity Summit opened and closed strongly with one excellent presentation after another sandwiched in between. Stout eloquently described the urgency for the annuity industry to, “grow the pie”, while also pointing out that of the $250 Billion in annuity sales during 2006, only 25%- $50 Billion- was attributed to new flows. 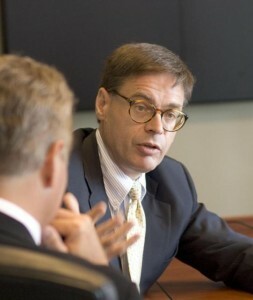 In describing the probable impact of Boomer retirement security on the annuity business, Stout said that, “The sleeping giant has yet to awaken.” He cited clarity, transparency and ease of doing business as vital necessities in order for the annuity industry to maximize its potential in serving the retirement income needs of Boomer clients. In describing the inherent differences among different channels of distribution, Stout said that, “Psychology, culture and expectations change across channels.” He also talked about ING’s efforts to accommodate strategic partnerships between IMOs and broker-dealers, and he followed this with a side-by-side comparison of each channel’s core competencies and respective strengths. After his prepared comments, Stout fielded a number of questions. I asked him for his views on the ongoing efforts to recruit annuity agents into RIA status. Stout responded that agents should move into this area with great caution. He said that if the motivations for becoming an RIA have to do with sidestepping regulation and oversight, then such a strategy would not be successful. While time does not allow for a detailed analysis of all the presentations that followed Stout’s, I want to mention several additional highlights. Lincoln Financial’s, David Kittredge, described the magnitude of the money-in-motion in the context of Boomer retirement. He shared statistics that recognized the assets that Boomers have earmarked for providing retirement income apart from their formal retirement accounts. When these assets are considered Kittredge said that the total volume of money-in-motion becomes a staggering $32 Trillion. An amazingly candid presentation by Iowa Deputy Insurance Commissioner, Jim Mumford, closed the day. Mumford pulled no punches in commenting on many, many contemporary industry challenges. He had no hesitation in citing a lack of cooperation among regulators for worsening the current marketing environment. He reserved special criticism for the North American Securities Administrators Association (NASAA) – of which he is a member- for, “placing turf protection above consumer protection.” Wow. In commenting on the NASAA’s intense criticism of annuity seminars, Mumford revealed that in order to test the validity of the criticism, representatives of the Iowa Insurance Department and the Iowa securities regulator have attended more than 20 such seminars. He said that some sales practices problems have been uncovered with only two cease and desist orders issued. During breaks I was able to corner three different NAFA Board members and give them my view that NAFA now finds itself at a critical juncture. I believe that two years from today NAFA can be either substantially irrelevant, or, indisputably vital. What will drive one or the other possible outcomes will be NAFA’s will or lack thereof to confront some very tough issues. That said, NAFA cannot accomplish this without the strong support and participation by the majority of insurance carriers that wish to manufacture and market quality annuity products. For these carriers it’s past the time when even benign defense of the industry’s worst practices can be justified. With necessary support, NAFA has the opportunity to step-up and wear the mantle of leadership at this pivotal moment. What if you invited three-hundred people to a party and nobody showed? While I know that press is highly skeptical of the fixed annuity business, even this jaded observer was astonished to hear NAFA Executive Director, Kim O’Brien, report that only 10 of the 300 reporters invited to NAFA’s Annuity Summit even bothered to reply. All who did responded declined. If I were a Board member of NAFA I’d be in intense self-examination mode; a total press boycott should send a message about the strategy NAFA has taken in rebuttal of every negative article that’s hammered fixed products. I’ve read a number of NAFA’s formal, written responses to reporters who have criticized annuities-especially indexed annuities- and they all have corrected numerous factual misstatements about annuity products. While that’s good and necessary, the responses aimed at the reporters have typically conveyed a “put down” feel to them that at times has sounded arrogant, angry and heavy-handed. This is a formula for alienation rather than cooperation that is unlikely to serve NAFA’s interests as indicated by the boycott. If you are a regular reader of this blog you know that I’ve been on a mission to galvanize leaders to the urgency of confronting the industry’s most endemic, difficult-to-tackle problems: sub-optimal agent productivity, over reliance on high commission, opaque and complex products, suspect sales practices, suitability and archaic consumer-facing marketing. A thorough self-examination is vital so that the industry can set itself on a course for greater success in the future. The industry needs to find the will to do what it’s never done: “call-out” providers whose products and marketing serve to damage the entire industry. I’ve not been timid about doing this. See my comments about Allianz Life as reported in InvestmentNews on 1/15/07. If, say, three years ago companies committed to consumer-oriented indexed products had attempted to isolate and marginalize competitors whose products are manifestly negative to consumer interests, I doubt that the industry would be facing the challenges it now faces. This is where NAFA can provide leadership in a vital area. I don’t know, however, that it possesses the will to do so. Compare the strategies taken by NAVA and NAFA. To me, this candid acknowledgement of the VA industry’s challenges by the VA industry’s national association is smart, appropriate, real, and entirely healthy. This self-examination and willingness to address its toughest challenges will lead the VA industry to its greatest success. NAFA, in my judgment, should step-up, mimic NAVA and take an active and relevant leadership role. If it doesn’t it will surely drift into irrelevancy. Yesterday’s kickoff speakers demonstrated that some in the fixed annuity industry remain in a bit of a time warp. The first two speakers, Bob Williams, of Old Mutual, and Barb Cole, of M&O Marketing each presented with skill and passion. Yet, I was left with the feeling that they were missing the mark in terms of providing attendees the timely guidance they need to succeed; each presentation seemed slightly out of context in light of the undeniably hostile marketing environment annuity agents are facing. I liked Cole’s exhortation to annuity agents to lay down their “credentials” early on in the interview process. She advised audience members that they should proudly tell their prospects that they belong to organizations such as the National Ethics Bureau, or carry designations such as Certified Senior Advisor, or possess any of the many other “certifications” agents typically acquire. As I heard this I was left to wonder- in the context of the complaints issues in Massachusetts by that state’s securities regulator- if what’s being advised here is arguably illegal in one or more states. The National Ethics Bureau and the Society of Certified Senior Advisors were specifically alleged to be elements of unethical and dishonest marketing activities that agents use to “prey” on the senior population. Moreover, the presentation techniques illustrated were likely to place the agent in a situation where he or she could be charged with acting as an unregistered investment advisor. It’s clear to me that yesterday’s marketing techniques and presentation strategies are in need of complete overhaul. Kudos to Richard Kado of Genesis Financial Products who delivered what, for an actuary, was a riveting presentation on new developments in indexed product design. Genesis’ research has shown that longer indexing periods (multi-year) deliver the best interest growth over time. He also enlightened the audience on the tough balancing act providers face in terms of providing annual liquidity balanced with the attempt to maximize cash value accumulation. I’m anxious to find out how Day Two of this conference unfolds. More tomorrow. I’m in Arizona this week to attend the National Association of Fixed Annuities annual Annuity Summit. NAFA Executive Director, Kim O’Brien, and her team have put together a program of very high quality. This meeting is occurring at a pivotal moment for the fixed annuity industry. Speaking of interesting (and timely), Aviva’s President of Annuity Sales and Distribution, Mark Heitz, will deliver his vision for tomorrow’s fixed annuity marketing and product strategies. Mark will present the keynote address on Wednesday. On Thursday morning it’s ING’s , Harry Stout, President of the company’s annuity business, who is slated to deliver a morning keynote address. Harry will be speaking about synergies between IMOs and B-Ds in terms of the marketing of indexed annuities. Both Harry and Mark are strong leaders in the fixed annuity business; their views matter. My old buddy, Richard Kado, of Canada’s Genesis Financial Products, will talk about the latest in fixed annuity product development. This is something about which Richard is truly an expert. He contributed to the invention of something called the equity-indexed annuity. One of my interview subjects, Beacon Research’s Jeremy Alexander (see Industry Leaders & Innovators), will deliver the latest fixed annuity industry data. It’s going to be fascinating to see what the numbers reveal about the current marketing environment. And Lincoln Financial Group’s, David Kittredge, will keynote on the topic of “The Income Revolution.” Regular readers of this blog will know that this is a subject near and dear to my heart. I’m anxious to learn about Lincoln’s take on the issue. Although the event here in Scottsdale is dedicated to a focus on fixed annuities, NAVA’s General Counsel, Mike DeGeorge, will deliver, “A View of the Industry from the Variable Side.” Discovering NAVA’s perceptions of the fixed annuity world is something to really look forward to. After all, the two product philosophies have borrowed a bit from each other. Two additional sessions hold special interest, in my judgment. The ACLI’s, Carl Wilkerson, will talk about ongoing task force initiatives. I need to learn exactly what’s in development here. And Iowa Deputy Insurance Commissioner, Jim Mumford, will explain where the regulators are headed. It will be good to know the direction. All in all, and excellent program is about to be unveiled here in the land of Saguaro Cacti. It’s more than likely that some interesting insights will be revealed over the next two days. In the first three parts of this series I offered a historical context for the present challenges confronting the fixed annuity industry. In this fourth installment I’ll present a vision of tomorrow’s practicing annuity producer: an agent who is more productive, who is selling a more diverse lineup of annuity products, who is financially successful, and who is compliant by definition. Imagine an early morning in the not too distant future. An annuity producer named Ben Harrison, arrives at his office, logs on to his computer and checks his email. Among the messages he finds are three from individuals not yet his clients. The first email message is from Sydney Atwood, a 62 year-old employee of VestiTech Manufacturing. Upon opening the message Ben soon realizes that Sydney has 1, during the previous evening visited his Retirement Income Strategies microsite, 2, viewed the movie entitled, “Transition Management Planning Using Fixed Annuities”, and 3, requested a telephone appointment with Ben to discuss one of retirement asset principal protection concepts presented in the movie. Sydney, Frank and Jennifer are individuals with entirely different needs requiring diverse solutions. By virtue of his licensure, industry knowledge, practical experience and product manufacturer representation, Ben Harrison is an annuity agent well-equipped to meet the needs of each of his new prospects. In fact, by week’s end Ben’s sales have topped $600,000. Ben likes his “new approach” to the annuity business: He’s selling many more annuities, and his gross income is significantly more than in the past. That the commission on each annuity sale is less on a percentage basis doesn’t concern Ben. He’ll settle for a much greater volume, any day. Ben Harrison is a modern annuity agent. He doesn’t shrink from what he is, he doesn’t camouflage his identity – he doesn’t have to. He proudly broadcasts to the buying public that he is an expert in the multiple financial needs where annuities play a potentially central role. Ben Harrison is web-enabled to a super extent. He has forty live microsites, each strategically aimed, and each capable of delivering compliant, state-of-the-art video presentations on each and every product and solution covered in his practice. Ben Harrison has learned the power to be found in empowering his prospects and clients. He’s learned that consumers enjoy “taking control.” Ben knows that his prospects enjoy learning about and evaluating his products on their own terms: when and where and how they choose. Ben’s come to know that all that really matters is that they call him when they’re ready to talk or meet. Ben’s learned that the power of technology personalization keeps the prospect in his circle of influence. Ben Harrison has learned that his capacity to cross-sell and up-sell successfully has finally been realized through his ability to aim his microsites at different, needs-based customer segments. Ben has learned that his microsites’ ability to deliver highly-effective sales presentations on a wide spectrum of products has resulted in his ability to earn commissions on a much wider spectrum of sales. In the context of his prospecting and sales activities, Ben has come to see his microsites as “clones” of important parts of himself. Each performs a limited number of vital functions: engaging clients; educating prospects on products and solutions; asking for an appointment; asking for a referral. No individual microsite can equal Ben’s own abilities, knowledge and experience. Collectively, however, the microsites create a combined prospecting and sales capacity that Ben could never hope to equal. Ben has learned to translate the power of “reach” into higher personal income. His forty microsites are able to reach-in and engage prospects even at great distances. Previously, Ben would tend to ignore prospects that live 50 or miles from his home. Now, he regularly acquires clients who live more than 50 miles from his home. Ben likes to hear his clients tell him that they enjoy the educational and entertaining experiences he provides them through the video presentations he streams from his forty microsites. Ben likes to hear praise from his clients, not criticism. He is glad for their trust rather than their skepticism. When Will Ben Harrison Emerge? In short, he already has. In fact, the technology to create personalized, compliant, streaming video microsites for Ben-and thousands of other annuity agents- is already in use with several visionary annuity providers including SunLife Financial, Aviva and National Life. These companies are in the vanguard of a movement that will combine compliant video educational content and web-based technology to deliver engaging experiences to consumers’ web browsers; all while strengthening the central role of annuity agents. Personalization, compliant educational content and agent-centricity are the three indispensable components of the next-generation communications strategy which will help to solve today’s market conduct related problems and liabilities. To help agents as much as they can, insurance companies must begin to move away from the “all-encompassing, enterprise website mindset” to a new strategy, one that focuses on the creation of dozens of small, strategic and personalized websites for each licensed agent. Only then will today’s problems begin to vanish due to agents who are vital, productive and financially successful through their marketing of annuity products that convey consumer value that is obvious to all. In just a short time some of the best minds in financial services have contributed a wonderful collection of insights to my blog. In addition to my own ruminations, I’ve taken some of these contributions and published them in the form of a downloadable book. You may download the book at no cost. Download the PDF here. I am pleased to announce that two of the retirement income industry’s leading lights will be the subjects of interviews in my Industry Leaders & Innovators Series. Phil Eckman and Fred Conley are articulate and talented individuals charged with significant strategic responsibilities within their respective organizations. Their visions and insights will be welcome by all who are concerned with the future of U.S. retirement security. Soliciting Annuity Agents to Grow the Ranks of Registered Investment Advisors: Road to Salvation? Or A Path to Destruction? Just when I feel that I’ve seen everything, along comes something that surprises even this jaded soul. This development, however, strikes me as one with potentially disastrous consequences for unsuspecting fixed annuity producers whose desire for a way out of their current business turmoil may prove to be the first step in a career-ending, bad decision. Is the “Wild, Wild West” of annuity-land now setting its sights on the rarefied world of Registered Investment Advisors? A few days ago I received a spam email from an organization called Registered Independent Advisors. As I read this email it struck me as quite clearly designed to exploit the present high levels of anxiety and frustration among annuity agents. If you are a regular reader of this blog you know that I have written at length about annuity agents who are been battling a generally hostile marketing environment as well as the intensified scrutiny of securities regulators. Many who are also registered representatives have seen their broker-dealers intercede in their equity indexed annuity sales and marketing activities with the result that certain of the products most favored by some producers have been deemed by their broker-dealers’ guidelines to be unsuitable. While the message from Registered Independent Advisors was both coy and somewhat different that so many other creative solicitations I’ve read since 05-50, it was also quite similar. In fact, the message’s first bulleted question states, Do you write over $1,000,000 in EIA premium regularly?” It then goes on to ask, “Are you concerned about the SEC’s Free Lunch seminar sweeps?” And, “Are you unhappy with BD restrictions and haircuts on EIA business?” These are classically Independent Marketing Organization (IMO) themes. I’m not sure what “real” is meant to imply. The relevant question is, in my judgment, will taking on the fiduciary obligations of a Registered Investment Advisor prove to be a viable strategy for annuity agents already dealing with a level of complexities they never expected? An effort to entice both non-registered annuity agents as well as registered reps into the world of Registered Investment Advisory- and all that that implies- strikes me as a topic worthy of exploration. I’ll have much more on this in the days ahead.